Barring the arrival of a certain laconic Austrian killing machine, he just might be our best bet. The faux apocalypse has passed, praise Xenu, but there are plenty of real ones left to worry about. That's precisely what the folks at the Cambridge Project for Existential Risk do—they're full time doomsday worriers. 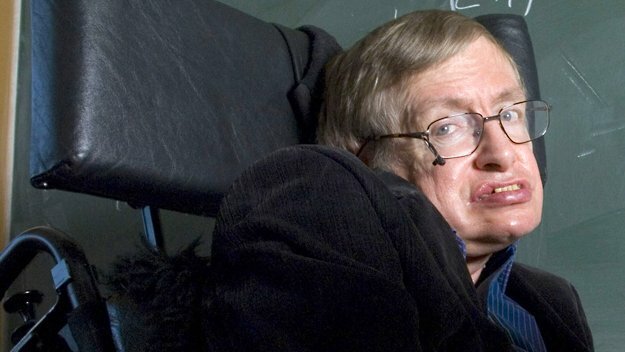 And they're getting an influential addition to their team: Stephen Hawking, the world's most famous living scientist, will be joining CPER to ponder once and future calamities. And, ideally, to help map out an avoidance strategy or two. "Stephen Hawking ... has joined the board of an international think tank devoted to defending humanity from futuristic threats," Fast Company reports. "The Cambridge Project for Existential Risk is a newly founded organization which researches existential threats to humanity such as extreme climate change, artificial intelligence, biotechnology, artificial life, nanotech, and other emerging technologies. Skype cofounder Jaan Tallinn and Cambridge professors Huw Price and Martin Rees founded the project in late 2012." If you recall, CPER was founded last November with the aim of developing strategies to cope with accelerating artificial intelligence, and the specter of the singularity in particular. Read the rest over at the new Motherboard.VICE.com.